Evelyne and Didier welcome you to the Gîte de la Source, 34 km from the Baie de Somme, between land and sea. In a peaceful setting, the gîte has everything you need for a pleasant holiday. The owners are locals and will happily share their passion for the region's truly outstanding natural heritage. 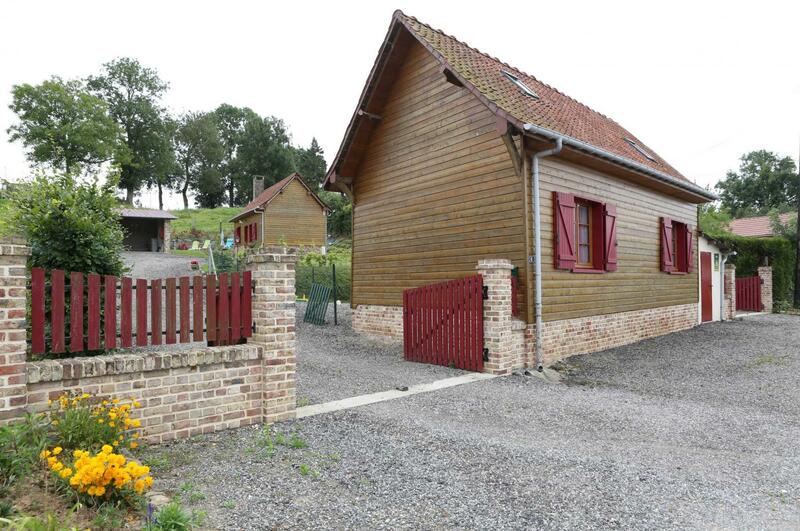 Property in open countryside with 2 gîtes, each with separate entrance and parking space. Detached cottage (55 sq.m.). Ground floor: living/sitting room with fitted kitchen, shower room, separate WC. 1st floor: 2 bedrooms (double bed in each). Extra single bed possible in 1 bedroom. Cot, high chair and baby bath available. Electric heating (extra charge). Terrace with private, enclosed outdoor area (200 sq.m.). Use of car port possible. Mobile phone (card-operated) on request. Comfortable outdoor chair, 4 bikes available.